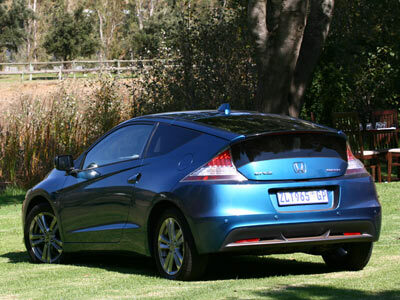 The CR-Z Hybrid has the 1.5-litre i-VTEC engine coupled to the Honda IMA parallel hybrid system resulting in CO2 emissions of 117g/km and 5.0 L/100km fuel economy in combined mode down to 4.5 on the open road in econo mode. A word of warning. In sport mode she gets thirsty as do all cars that have a bit of go. Speaking of which, top speed is around 200km/h and 0 – 100 is under 10 seconds. The i-VTEC produces 84kW@ 6 100 and the electric motor another 10 kW. The big difference comes with the torque. The electric motor adds 78Nm to the 145Nm of the petrol engine from 1 000rpm. It all adds up to loads of fun. Roadholding and driveability is up to the usual Honda standards, with just a little more spice added into the mix. Standard features include remote central locking, immobiliser, auto locking doors, airbags, ABS, hill start assist and fog lamps all around. It has an autostop function in econo mode. When you stop at a traffic light the petrol engine cuts out. As soon as you engage a gear it kicks in again. It works very smoothly. The CR-Z has a few little luxuries like a refrigerated glove box, automatic aircon, sports seats, leather trim, daytime running lights and cruise control. It costs R299 999. Quite a lot of money for a tiny thing. But remember dynamite comes in small packages and the grin factor of this car is huge. 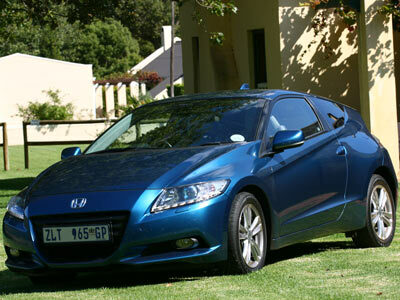 The CR-Z comes with a 3 year/100 000km warranty and a 5 year/ 90 000km service plan. Service intervals are at 15 000km intervals. Opel Vivaro – The modern equivalent of the original kombi comes as either a van or a bus. Depending on where in the world you are it could be a Vauxhall, Renault, Opel or Nissan. 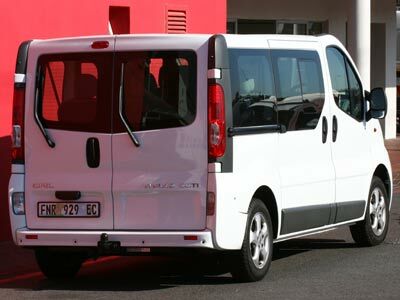 I tested the bus version, the Vivaro 1.9 CDTi Bus with a R325 990 price tag, for which you get a comprehensive package and car-like driveability. It is easy to drive and park. The cabin has front and rear aircon, a good sound system, easy access except for the front passenger and is very nea t. This 9 seater is very versatile (sliding doors on both sides for example) and is roomy. There are two back doors which swing open. Total length is less than 5m so it fits into normal parking and into garages. It drives like a big car. Acceleration is on the slow side of brisk, but overall handling is pleasant. Park assist is fitted as standard in the bus, as is central locking, car alarm, two airbags and the two bench seats (rows 2 and 3) can be easily removed. Fuel consumption of about 9.3 L/100km can be expected from the 6 speed 74kW/240Nm turbodisel engine. The van models come in petrol and diesel variants. The Vivaro comes with 5 year/120 000km warranty and 5 year/ 90 000km service plan. The vans start at R256 090. 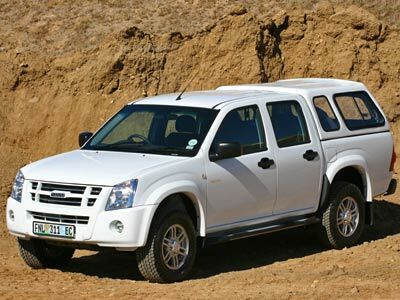 Isuzu KB72 250 D-TEQ 4×4 – A double cab bakkie for all seasons. The KB72 is the culmination of the development of the KB series of bakkies. It’s economical, comfortable, very capable and well built. 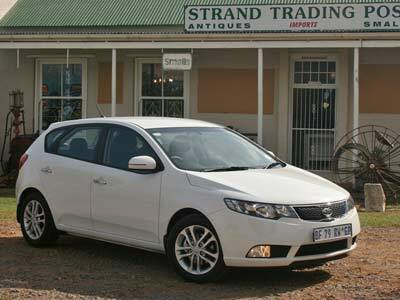 At R350 400 (which includes accessories like 16” alloy rims, aluminium running boards etc. of R19 000 thrown in) it’s not cheap, but it is value for money compared to the competition. It ticks all the right boxes. The 2.5 litre turbodiesel will get you to 100km/h after a leisurely 17.7 seconds and will get to it’s top speed of just over 140km/h, but not in a rush. GM claims fuel consumption of 9.3L/100km, but I got just over 11 L/100km. The engine produces 85kW at 3 600 rpm and 280Nm from 1 800 over a wide power band. I took a loaded KB72 over a few mountain passes and on the N2 and can confirm the almost effortless ease with which it performs. My wife commented that it was the best bakkie overall that she has travelled in recently, better than the Amarok and the Navarra. I agree with her, bearing in mind that the other two are much bigger. The cabin is not car like, it’s a bakkie, dammit. It is comfortable, ergonomically right and has all the things you want like aircon, power steering, cruise control, sound system and really comfortable seats. The all round visibility is excellent. I found the KB72 a pleasure to drive. If you need rapid acceleration and higher top speed the KB 300 D-TEQ with its 120kW is highly capable. The KB bakkies drive better than the Hi-Lux competition especially when unladen and on a gravel road. They are, I think, a better package than the Toyota. All Isuzu’s come with a 5 year / 120 000 km warranty and a 12 month service plan. The new 2011 Cerato hatch breaks new ground for the KIA brand, which with this car establishes itself as a serious aspirational, sporty automotive brand alternative to the same old marques and announces itself as the BMW or Alfa of Korea. It’s that good. And very affordable for the package you get. The competition is going to battle to match this. We tested the 1.6 manual in basic trim. In truth you don’t need more at sea level. It goes well, it’s nippy, a pleasure to drive and does everything it should, ticking all the right boxes on the way. I was pleasantly surprised with this car. The 2.0 litre models must be quite sporty with their extra 15% power. Initially the electric (motor driven) power-assisted rack and pinion steering seems too light, almost unpleasantly so, and has a mid or centre spot which feels dead, until you get used to it. The steering becomes progressively stiffer the faster you go. You quickly become accustomed to it. The gears, clutch and handling are just right. It’s fun to drive and very responsive. The interior has been well thought out. The controls for the aircon and fans feels a bit flimsy compared to the rest of the switchgear, but is much like other cars in its segment. The rest of the interior has a smart, sporty (but not boy racer) feel to it. Legroom at the back is surprisingly good. The cloth seats are comfortable and adjust easily. Cerato Hatch comes standard with ABS (Anti-lock Braking System) and EBD (Electronic Brake Force Distribution), as well as dual front, side and full-length curtain airbags. Active headrests are also standard on all models. The 0 – 100 km/h sprint takes 10.3 seconds, average fuel economy is a claimed 6.6 L/100km and CO2 emissions are 158 g/km. I got just over 7 L/100km and the acceleration felt quick. Standard equipment includes aircon, iPod and USB connectivity, MP3 compatible CD/radio with 6 speakers, electric mirrors and windows, immobiliser and full size spare wheel. Nice touches are keyless entry, speed sensing auto door lock, Electric Chromic rearview mirror and three spoke leather steering wheel and gear knob. The 1.6 we tested produces 91.2kW @ 6 300 and torque of 156 Nm @ 4 200. Price is R185 995, the top of the line 2.0 Auto costs R215 995. Warranty is 5 year / 100 000km, Service plan 4 year / 90 000km and service intervals 15 000km.